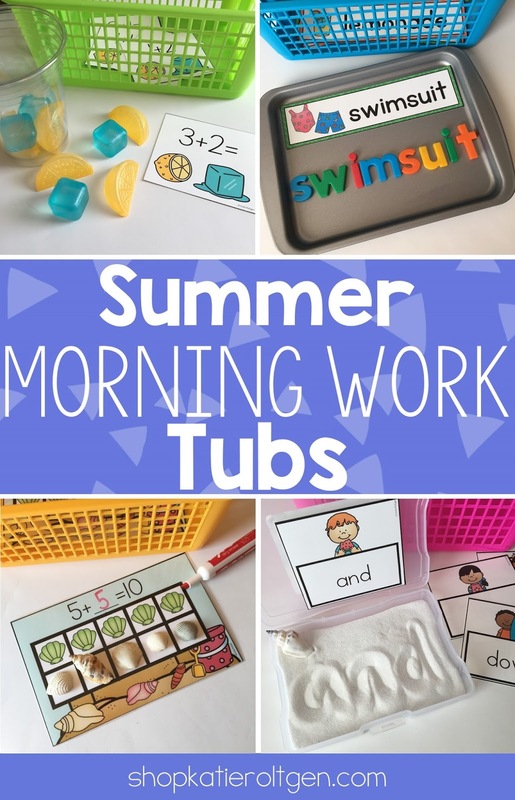 I'm so excited to share the Summer Morning Work Tubs with you! When I began making my Morning Work Tubs for Kindergarten in 2016, I actually was most excited about making summer-themed activities! I've had many ideas stored up, and I'm happy to have this pack completed and ready to share with you! Like with the previous months, I tried to include a wide variety of activities. Since this is the final pack in my morning work tubs bundle, the activities include some more difficult skill practice, such as blends, combinations to 10, addition, etc., but still have some of the familiar activities you and your students have grown to love. I've made some of the activities editable for your convenience, and I have also included multiple versions of some activities to allow for differentiation. Here's a look at the 20 activities included in the summer pack, plus some affiliate links to Amazon for your convenience! Several of the activities have materials that could easily be substituted for things you already have on hand. 1. Summer Sight Words: This is entirely editable! I thought it would be fun to have students write the word in sand using a shell, but that's totally optional! 2. Summer Sentence Matching: Many of you have told me that you're loving the simple sentence activities, so here's a summer-themed one! 3. Beginning Blend Cards: You can laminate these and have students write the missing letters, or they can use magnetic letters. 4. Summer Word Building: Students will build a variety of summer vocabulary words. I love this mini magnetic cookie sheet, and these magnetic letters! 5. Ping-Pong Ball Words: There is a CVC word version and a CVCe word version. You will prepare the activity by writing words on ping-pong balls (white is fine, or use these fun colorful ones). Students will pick a ball, read the word, and color the picture that matches the word. To add a fun fine-motor component, use scooper tongs like these! 6. Rhyming Sunglasses: There are two versions to allow for differentiation! I included a black-and-white version that can be printed on colorful cardstock, as shown in the picture. 7. Making Lemonade: This is an editable activity that has a variety of options! In the picture above, I'm using it as an addition activity with plastic lemon slices and ice cubes. There's also a ten frame version, plus a blank version that you can use however you want. 8. Ice Cream Sundae Scoops: This is editable so you could use number words, addition/subtraction, etc. Students will use tweezers or scooper tongs to show each number of "ice cream scoops", a.k.a. jumbo pom-pom balls. 9. Kite Tails: As you can probably tell by now, I love incorporating pony beads because they work those fine motor skills so well! These are editable, but I'm using numbers to 20. 10. Duck Pond Addition: Students will pick two ducks that have been numbered from 0-5, add the numbers, and record. You can use mini rubber ducks like these, or simply use the duck templates in the download. 11. Let's Go Fishing: Students will match numbers 11-30 to the correct tens/ones card. Never missing a fine motor opportunity, I hot-glued mini clothespins to the backs of the fish cards and turned the fish into clip cards. This is totally optional, but it's pretty simple to do and it makes it more fun for the kiddos! 12. 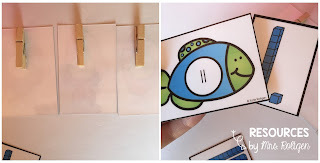 Sunny Sums: You'll prep this activity by writing addition sentences onto clothespins. Then, students will clip each addition sentence onto the sun that has the correct sum. No time to write on clothespins? I included addition cards that you can use instead! 13. Making Ten Mats: Seashells are such a motivating object for many kids to get to use, so I created this making ten activity. They'll add more shells (or another manipulative) and make ten, and then write the missing addend in the addition sentence. 14. Summer Measurement: This non-standard measurement activity provides some fun measurement practice, and includes a recording mat. 15. Habitat Sort: I have had dozens of requests for a habitat activity, so here it is! There are six habitats and six animal cards for each one. I even included self-checking cards for your students to check their work. 16. 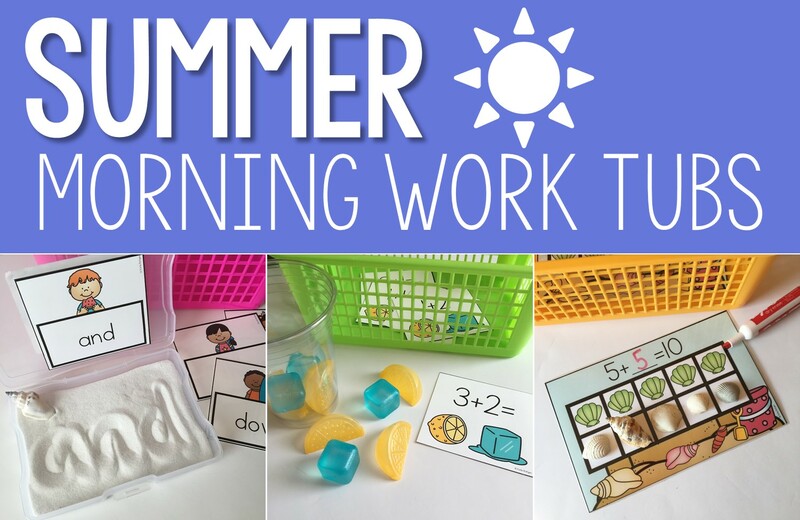 Roll and Graph: Here's another favorite morning work tub activity, just with a summer theme. You can place the cards into a pocket cube, or prepare the cube template included in the download. 17. Pokey Pin Pages: My own five year-old goes crazy for pinning pages, so here are some summer-themed pages. They're two-to-a-page. I love using jumbo push pins, but regular ones work, too. 18. Cut and Punch Activity: You will print these popsicle templates onto colorful paper, and then cut on the solid lines to create four per page. Students will cut out around the popsicle template on the dashed lines, and then use a single hole-punch to punch the dots. 19. Summer Sensory Bin: Themed sensory bins are great on their own, but I included a mini photo album with this one. Students can use a magnifying glass to look at the objects you include, and then draw and label what they found in the photo album. You'll prepare the photo album by printing on cardstock, laminating, and then securing with a book ring. 20. Summer Playdough Mats: I tried to include at least one playdough activity in every monthly pack, and the summer pack is no exception. Each mat has a simple activity prompt at the top, and students can use their powers of creativity and imagination to add more to the picture on the mat. 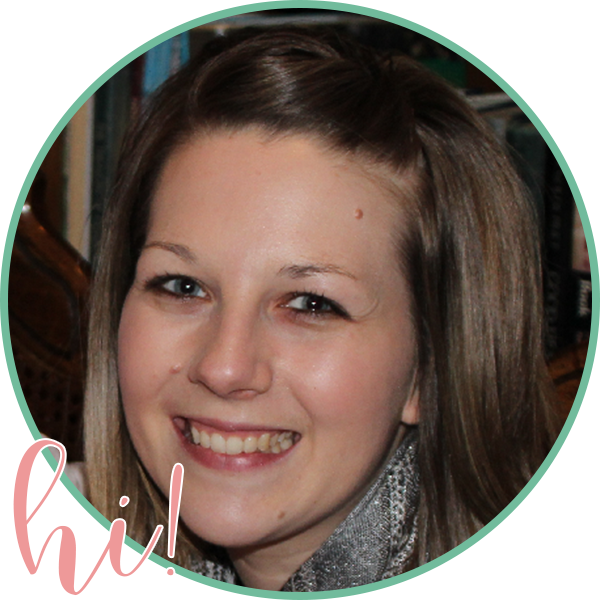 You can include cookie cutters to help your students out! For more information about the summer pack, or to check out the discounted morning work tub bundle, click on the covers below. Enjoy!